I always find it harder to buy for men than women. Most men have what they need. The requirement for abundance is perpetuated significantly less on them through society and media, than it is on their female counterparts. In fact, for the most part, they're encouraged to have items of quality. Investment pieces which will translate to the world their status, but they're granted, by the powers that be, to wear them repetitively. My father is not a materialistic man, he spends the majority of his money on experiences, and I suspect prefers experiences shared to gifts themselves. That said, there is something about the holiday season that always ignites in me a sense of sentimentality, in which I want to personalise my father's gift and give him something to unwrap. A feeling I don't have in the same way for my siblings. Perhaps this leads back to childhood when we would create a drawing or a card for our parent, made by you for them, perhaps not. Either way, it's what I find myself searching for each holiday season. Not every gift I've ever given my mama or my papa has been personalised. There are some items on can gift, like the socks below, that my mum has given for years and the comfort they bring has become so personal that each year she receives requests for more because our family members now associate that cosiness with her. As I've encouraged throughout this series, donations mixed with an (eco/ethical) un-wrappable gift creates a healthy balance between new and old traditions and ensures, regardless of what you buy, at least one gift will be one which keeps on giving. 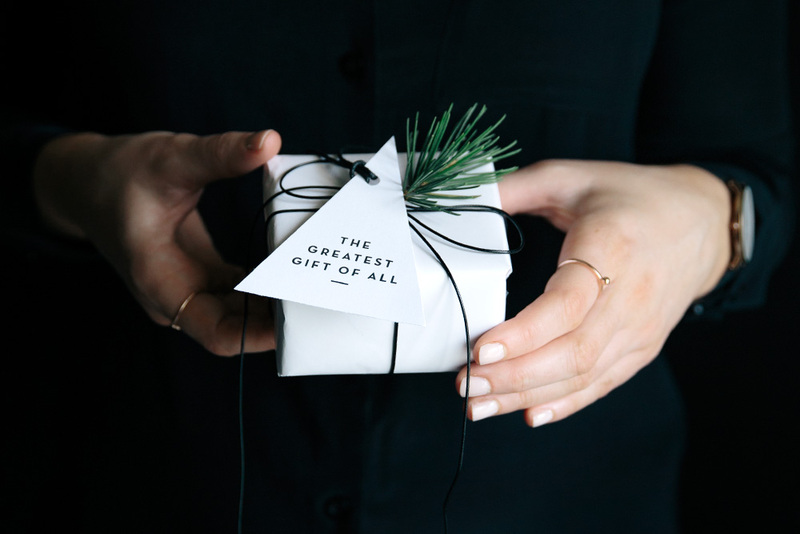 I've put together a few other green gift guides thus far including: Donations Gift Guide HERE | Men's Green Gift Guide HERE | Small Business Gift Guide HERE | Woman's Gift Guide HERE | Babies Gift Guide HERE | Toddler Gift Guide HERE. | Mama Gift Guide HERE | Kids Gift Guide HERE. Eco + Ethical How? 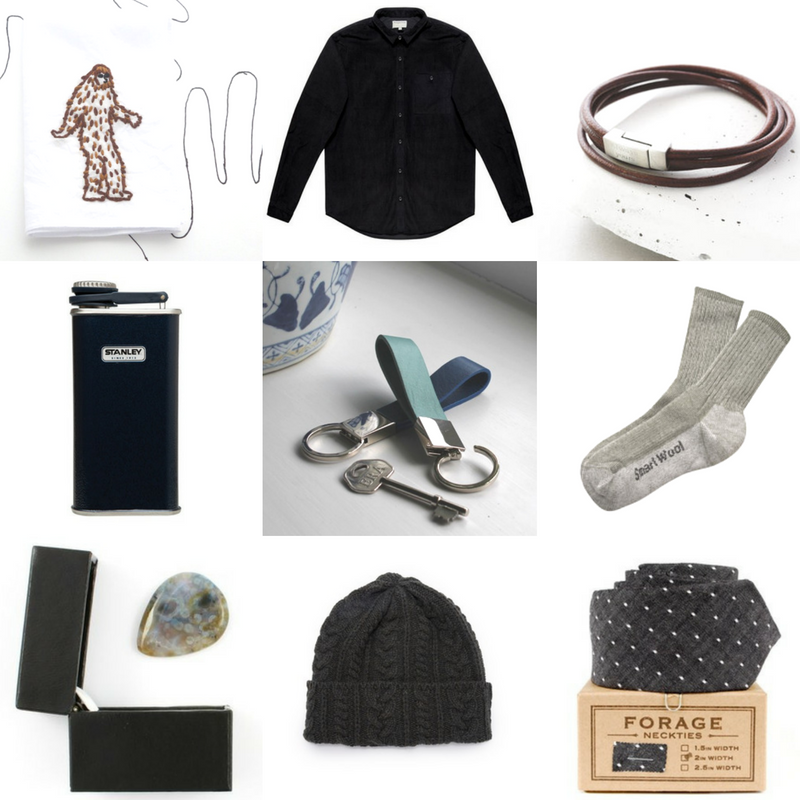 Beautiful Scandanavian designs created consciously with beautifully tailored apparel and product made with magnificent ecological and ethical standards. Eco + Ethical How? Though encouraging drinking isn't something I regularly do. For papas who are adventurous outdoors and like a responsible drink now and then, this flask, though not personalised, is slim and would hold just enough for a sip of something nice around a campfire or while surveying the scenery after a long country walk. This is a reusable item made to last which will last a lifetime. Eco + Ethical How? Started in 2009 by two Belgian brothers Jan & Patrick Olyslager, Howlin (« smelly » in Scottish slang) offers knitwear concentrating on high quality yarns and traditional craftsmanship. The pieces are designed in Antwerp and manufactured and handfinished in Scotland or Ireland. Eco + Ethical How? Handmade ethically in Britain each piece of this collection can be personalised with a hand engraving. Eco + Ethical How? Ok, so this one isn't embroidered on organic cotton, unfortunately, but the embroidery designs she does on hankies are super creative and each one is embroidered by hand for you. I've started using a hanky daily (posting tomorrow about it) as part of going Zero Waste so I am no longer using kleenex and wasting our precious trees. Though the particular design I shared might be too funky for your papa, she can customise anything you can dream of to suit your loved one's style. Your father seems like a wise man. Wonderful and informative post.